In this paper, we provide combinatorial meanings to two generalized basic series with the aid of associated lattice paths. These results produce two new classes of infinite 3-way combinatorial identities. Five particular cases are also discussed. These particular cases provide new combinatorial versions of Göllnitz–Gordon identities and Göllnitz identity. Seven $q$-identities of Slater and five $q$-identities of Rogers are further explored using the same combinatorial object. These results are an extension of the work of Goyal and Agarwal (Utilitas Math. 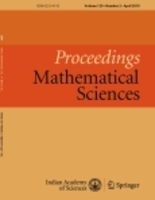 95 (2014) 141–148), Agarwal and Rana (Utilitas Math. 79 (2009) 145–155), and Agarwal (J. Number Theory 28 (1988) 299–305).